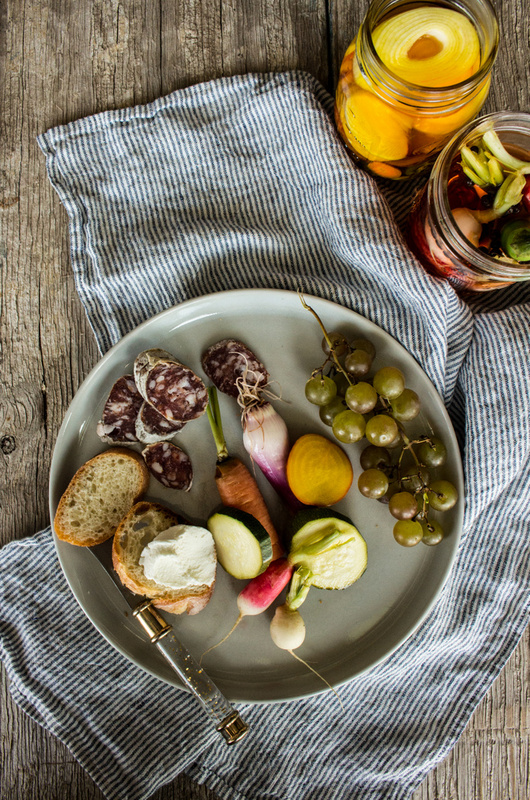 Last month I partnered with the lovely Sarah of Marshall's Haute Sauce to co-teach a Pickling + Styling Workshop in Portland, Oregon. 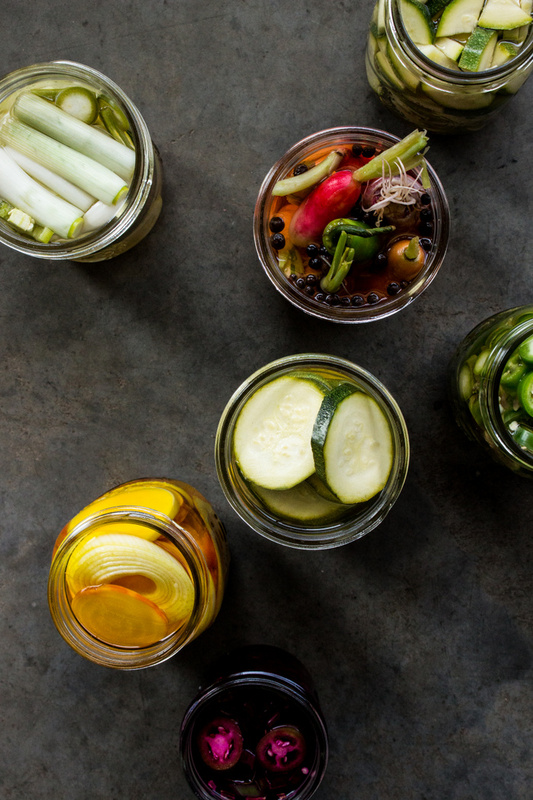 Ever since that day of pickling, snacking, wine drinking and styling, I have been pickling just about everything. The key for me, is to not go over board though. 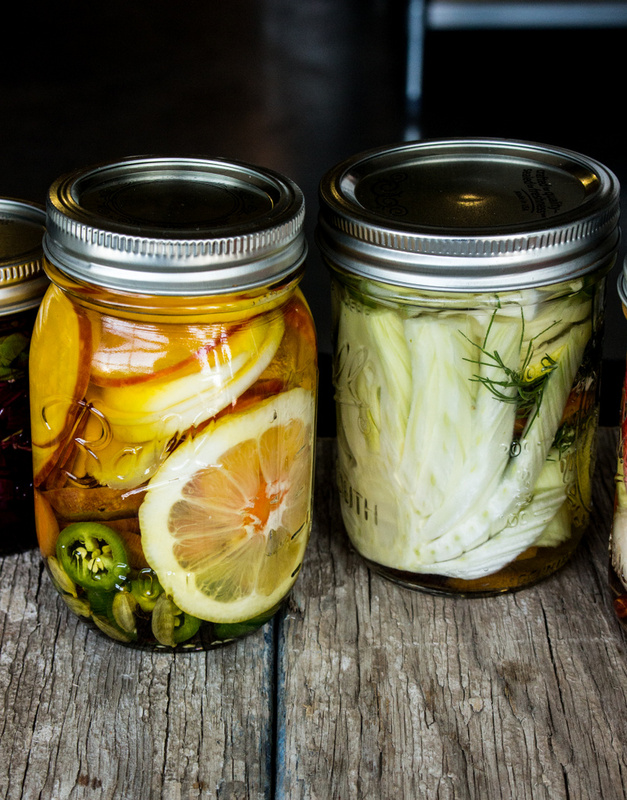 Because really, I could pickle it all and fill my fridge with 20 plus jars. So what I started doing is making 1 jar a week, sometimes 2. Typically keeping one pickle spicy, and the other slightly sweeter. My husband and I devour the spicy variety, while my kids go crazy for anything sweet or infused with dill. Quick Pickled Zucchini - and this is one of my most favorite things to make, served with crackers or bread and a good smear of goat cheese. And many thanks to DeNoble Farms for sponsoring the workshop and providing us with your gorgeous produce!